The NBA has already seen a slew of stars change teams this summer—who will be next? Carmelo Anthony is the favorite, but there's an intriguing list of names right behind him. In the past few weeks, the NBA has seen Paul George, Chris Paul, Jimmy Butler, Paul Millsap and Gordon Hayward change teams. The month of July is always a busy one in the NBA, but this off-season has been particularly active, with 29 franchises chasing the superteam Warriors. And while there's already been an abundance of movement, there's been even more speculation. Carmelo Anthony has been a fixture of NBA gossip. Names like Anthony Davis, Kevin Love, Andre Drummond and others have popped up as well. With Golden State boasting an armada of stars, everyone else in the league feels like it must do something drastic to compete. That's created a star-chasing frenzy, with anyone with an All-Star appearance on their résumé being rumored to join forces with other stars. 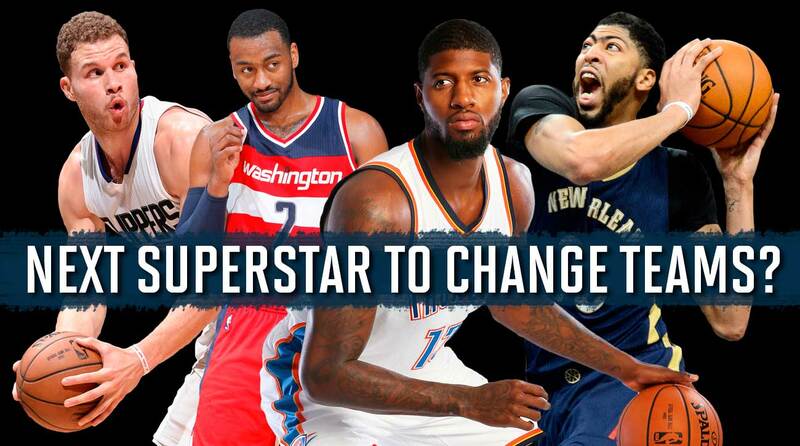 But which NBA star will actually be the next to change teams? With the NBA's silly season officially underway, The Crossover paneled its writers to answer that question. The Pistons have been making and taking calls regarding their All-Star center for months. Detroit began last season with the hope of Drummond and Reggie Jackson forming an inside-out combo that propelled them into upper echelon of the East. Then Jackson fell to another bout of knee troubles, Drummond's defensive motor completely stalled, and Detroit found itself back in the lottery. The Pistons would like to part ways with both of those aforementioned big pieces, but Drummond clearly has more trade value. The Pistons' net rating skyrocketed 9 points per 100 possessions with Jackson on the bench last season. While the center position is surely changing, there are few chiseled 7-footers with Drummond's level of athleticism walking this earth, let alone available this summer. 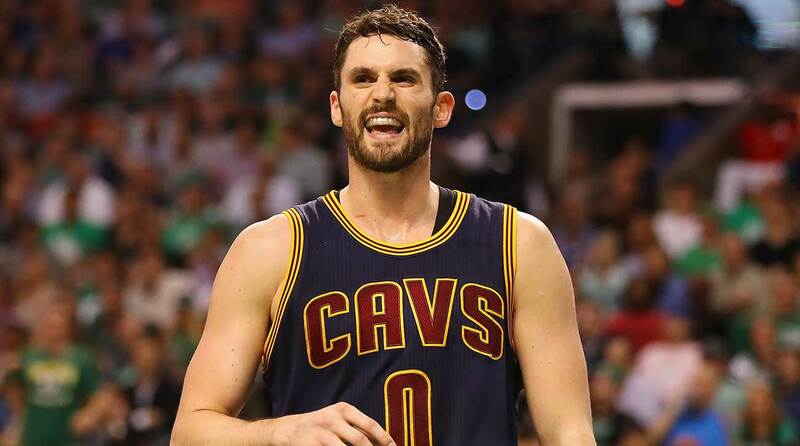 The trade rumors started soon after Kevin Love first stepped foot in the city of Cleveland. With LeBron James and Kyrie Irving capable of creating their own shots, Love has always been an awkward fit on the perimeter, missing the post touches he once received in Minnesota. He was the focal point of the Wolves' offense, but has played third fiddle for the Cavaliers. And when things have gone south for the Cavs in recent years, Love's name pops up in trade rumors and the narrative of him being dispensable cranks up again. 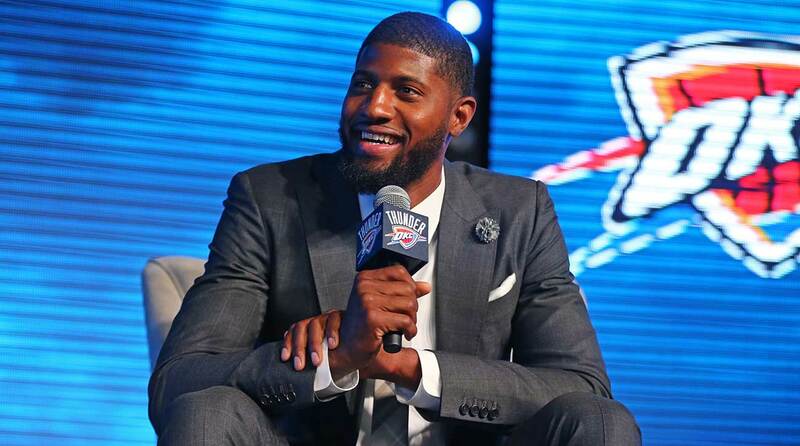 The most recent Love rumor had the big man going to Denver and Paul George to Cleveland in a three-team deal, but the Pacers backed out of that deal, according to reports. After losing Chris Paul this summer, the Clippers avoided a full-blown meltdown by inking Blake Griffin to a five-year, $173 million extension. But that deal may have only delayed the inevitable for L.A. The Clippers have done their best this off-season to mitigate the loss of Paul, adding Milos Teodosic to run the point, Danilo Gallinari to fill their void on the wing, and getting a decent package of role players in return for CP3. But it's hard for any team that loses Paul not to take a step back, and it's even harder when your other two stars were dependent on their All-Star point guard to create easy shots. Though the Thunder made a savvy move stealing Paul George for a shockingly low price, there’s no guarantee George stays a full season in OKC. First off, if any franchise will feel trigger-happy when it comes to trading a star before losing him for nothing, it’s the Thunder (remember that KD guy?). It’s not only about on-court fit. What if it’s clear by mid-season, even with OKC playing fairly well, that George still wants to sign with L.A. in the summer? The Thunder could trade him for a nice package of players to surround Russ. And then there’s the chance that the Westbrook-George pair doesn’t work out. Russ still needs to prove he can play nice with another superstar, and it’s probably going to be even harder for him to take his foot off the gas after his MVP season. If the Russ and George experiment blow up quickly and fall behind in the ultra-competitive West, it would be in Sam Presti’s best interests to move George quickly. 2017 NBA Free Agency: What's Left To Sort Out? LeBron James is as good as gone, and I'm not sure the Cavs even want to keep him at this point. Cleveland's off-season has made no sense. Why would you try to bring in Chauncey Billups, someone who has zero front-office experience, to run your basketball operations? Was that supposed to inspire confidence from James? Maybe Dan Gilbert is tired of paying massive luxury tax bills. I don't know. He certainly isn't acting with the sense of urgency required when James can be a free agent next year. We're in the middle fo July and the Cavs still don't have a GM! LeBron already brought a trophy back to Cleveland, and Gilbert's lack of strategy gives him enough cover to leave. I think James knows he needs a radically improved team to beat the Warriors, so he's going to team up with some fellow stars next summer. Chris Paul? Paul George? There will be no shortage of people looking to team up with LeBron and dethrone the Dubs.